Kim Jong Un's Half-Brother Killed: Why Would He Be Assassinated? Kim Jong Un stood to gain so little from assassinating his own half-brother that such a killing would be little more than a senseless murder by an increasingly paranoid regime, according to experts and officials. Intelligence agencies in South Korea believe the dictator's half-brother, Kim Jong Nam, was killed by two women at an airport in Kuala Lumpur, Malaysia. "If confirmed, this looks like pure vindictiveness by the leadership ... this is an irrational act"
The reports out of Malaysia read like the pages of a spy thriller, alleging the women approached Kim in broad daylight while he was waiting for a flight, and used needles, spray or a chemical-soaked cloth to poison him, before fleeing in a taxi. These details have been unconfirmed by NBC News, but on Wednesday local police said that security footage led them to arrest one woman carrying a Vietnamese passport. If this was indeed an assassination, it was almost certainly North Korean in origin, according to Professor Hazel Smith, director of the International Institute of Korean Studies at Britain's University of Central Lancashire. "If confirmed, this looks like pure vindictiveness by the leadership ... this is an irrational act," she said. "Kim Jong Nam was not a political figure and not associated with any fugitives outside of the country ... [so killing him] is not strategic or protective, and not retaliatory." 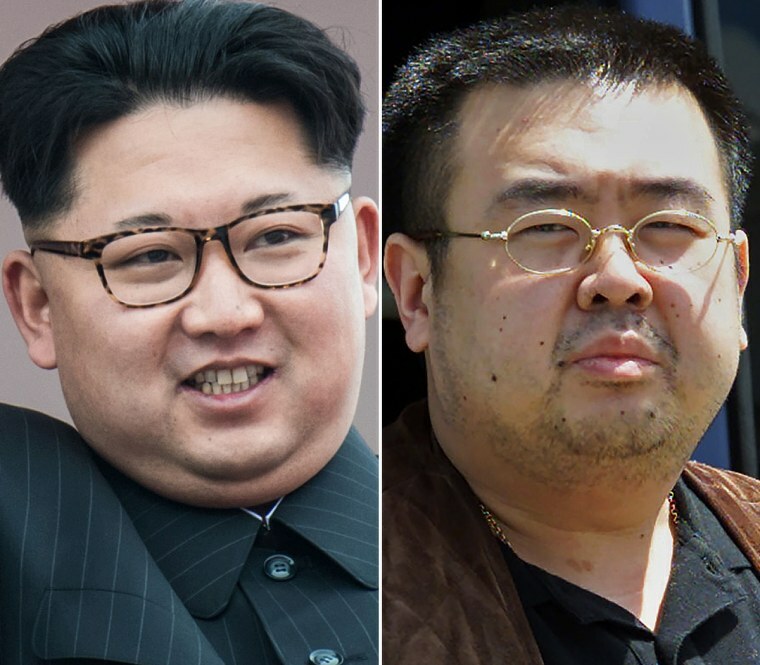 While they have different mothers, Kim Jong Nam and Kim Jong Un are both sons of former North Korean dictator Kim Jong Il. Kim Jong Nam, who is believed to be in his mid-40s, was once considered a successor to the leadership. But he fell out of favor when he was caught trying to enter Japan on a fake passport in 2001. He said he wanted to visit Disneyland Tokyo — a symbol of the Westernization demonized by North Korea. Since then he has been critical of the regime but experts never considered him a direct threat to his half-brother's rule. "Most North Koreans do not know of his existence and he ruled himself out as a political player long ago," according to James Edward Hoare, an associate fellow and North Korea expert at Chatham House, a London-based think tank. In this sense, it appeared his death would have no immediate benefits for the regime. 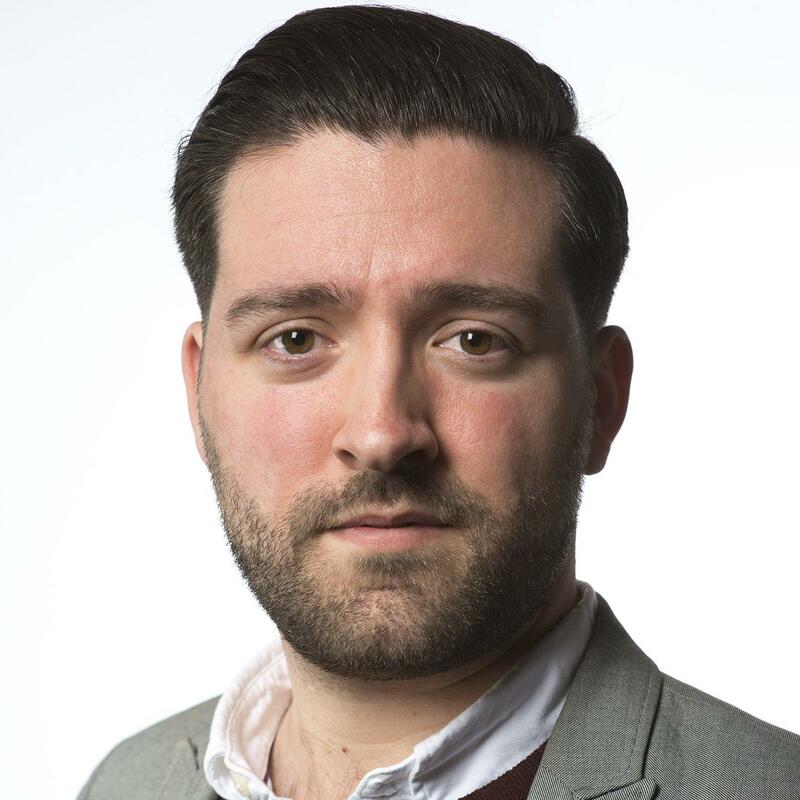 "It is not just the manner of it, which is brutal, but it's the fact that there's no pay-off," said Smith at the University of Central Lancashire. It wouldn't be the first time Kim Jong Un, a youthful dictator still in his 30s, had meted out pitiless punishment. Since he came to power in 2011, he has executed several high-profile members of his government — as well as his uncle and aunt. In May 2015, South Korean intelligence officials said he ordered his defense minister to be blasted to pieces with an anti-aircraft gun as punishment for falling asleep at a meeting. His own half-brother wasn't safe from this petulant wrath, and Kim Jong Nam had a "kill order" put on his head as well as several attempts on his life, according to Kim Byung Kee, a lawmaker in South Korea's opposition Minjoo Party. This manhunt saw him pen a letter to his half-brother in April 2013 begging for a pardon, according to the lawmaker, who is also assistant administrator of the country's Intelligence Committee. "Please cancel the punishment order made against I and my family. We have nowhere to go and nowhere to hide," the letter said, according to Kim Byung Kee. He was citing information from the country's National Intelligence Service — known as the NIS — South Korea's version of the CIA. These threats led Kim Jong Nam to seek refuge in Macau, an autonomous region of China known for its gambling industry, said Lee Cheol Woo, lawmaker with South Korea's ruling Liberal Party. He and his family lived there with the protection of the Chinese government, according to Lee, who is chair of the Intelligence Committee. NBC News was unable to immediately confirm that detail with officials in China. If he was under Beijing's protection, that could explain the timing of his killing, with North Korean agents sensing an opportunity while he was overseas. "China probably offered physical protection within Chinese land," according to Koh Yu-whan, a professor of North Korean studies at Dongguk University in Seoul. There are many questions swirling around Kim Jong Nam's death. For example, even if North Korea was behind his killing, it may not have been directed by Kim Jong Un himself. It's plausible he was killed by agents acting without official orders who were trying to show loyalty to the regime, according to Smith, the professor at the University of Lancashire. But if the killers were acting on official orders, why assassinate a man who was by all accounts a powerless force in exile? Several South Korean lawmakers said it was nothing more than a display of paranoia from an increasingly isolated pariah. Smith said it could be evidence of a more worrying collapse within North Korea's leadership. The country has a long history of human rights abuses and crimes against humanity, which the United Nations said are "strikingly similar" to the horrors of Nazi Germany. These include sending hundreds of thousands of people to labor camps for offenses as arbitrary as "gossiping" about the government. However, although many Westerners assume that the government has always been chaotic and irrational, the regime had until recently been a functioning political entity. "Even during the famine years [from 1994-8], North Korea collapsed economically but not politically," Smith said. Furthermore, while Kim Jong Un's father and grandfather were both brutal dictators, they both incorporated a certain amount pragmatism into their rule, understanding the occasional compromise needed to maintain autocratic control over their country. That all changed under Kim Jong Un. "Kim Jong Un has no experience in managing the country apart from resorting to pure brutality," Smith said. If Kim Jong Un assassinated his own brother — an assassination that provided no discernible benefits to the dictator — "it tells us that it's a very very unstable political system in North Korea." This could be evidence of "the unravelling of the political class in North Korea," she said. This instability is what worries the international community. Whether it is close to making a nuclear missile, North Korea is believed to have a significant amount of fissile material — radioactive elements needed to make a bomb. The international community has scant information of how securely this material is stored — and whether it could be stolen for use against the West.